blackgivesback: HBCU Alumni Giving: Where Do We Go From Here? HBCU Alumni Giving: Where Do We Go From Here? Building on the national dialogue on alumni giving at Historically Black Colleges and Universities (HBCUs) and in ongoing celebration of Black Philanthropy Month, BlackGivesBack.com is leading a new Twitter conversation. The tweet-up will occur Tuesday, November 12 at 3:00-4:00 pm EST and will engage alumni of HBCUs on how they give back to their school. 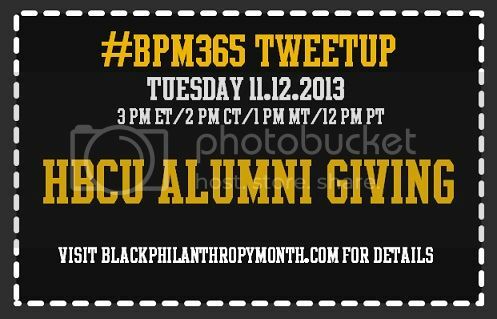 The hashtag for the tweet-up is #BPM365, which is an acronym for the Black Philanthropy Month campaign that extends beyond August 2013 and goes through February 2014. Co-hosts of the tweet-up are leading experts on HBCU alumni giving: Nelson Bowman III, executive director of development, Prairie View A&M University and Marybeth Gasman, Ph.D., professor of higher education, University of Pennsylvania. Marybeth and Nelson are frequent collaborators and have co-authored such books as Engaging Diverse College Alumni: The Essential Guide to Fundraising (2013) and A Guide to Fundraising at Historically Black Colleges and Universities: An All Campus Approach (2011). In interviews below, Marybeth and Nelson recount some of the experiences and beliefs that drew each of them to a career in higher education and turned their focus to HBCUs, specifically. What attracted you to a career in higher education? I have a desire to create opportunities for low income and students of color. I grew up with little opportunity and with the help of mentors, I was able to achieve academic success. It is important to pass on opportunity. Tell us about your path to becoming a widely recognized expert on HBCUs and issues of race in higher education? It all started in 1994 when I read the book The Education of Blacks in the South by James Anderson. This book changed my life, career, and introduced me to HBCUs and their importance. I realized that HBCUs provide opportunity in great ways. I never turned back. In addition, my father was an ardent racist and as such, I have always been on a journey to understand prejudice and racism and to educate those who perpetuate it. What’s an interesting facet or fact about HBCUs that few people are aware of? HBCUs represent 10 of the 20 colleges most responsible for sending African Americans into graduate and professional programs in STEM. You’re author of more than a dozen books. What is your most recent publication? And what title can we look out for next? My most recent book related to HBCUs is called The Morehouse Mystique: Educating America's Black Doctors (Johns Hopkins University Press). I have a book coming out next year called Lessons from the Margins: What America can Learn About Empowering all Students to Learn (Harvard University Press). Please tell us about your work at Prairie View A&M University. I serve as the chief development officer, which includes managing major gift prospects, donor stewardship initiatives and the University's internal school-based fundraising program. What drew you to the field of fundraising and development? 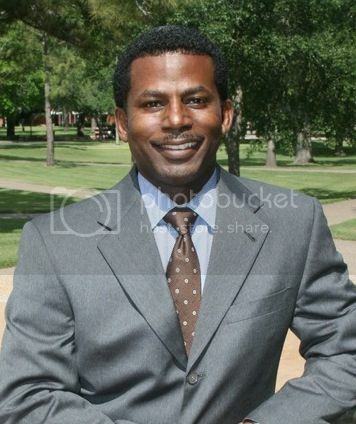 In 2005, a good friend, Monica G. Williams, invited me to work with her in the Office of Development at PVAMU. At the time, I didn’t know anything about the development profession but I thoroughly enjoyed relationship building having spent the past 15 years in corporate sales and management. In addition to that, I’m a two-time HBCU grad which made the offer too good to be true. What advice can you offer readers who are interested in a career in development? Ask yourself this: Are you interested in leaving places better than you found them? Are you able to love something greater than yourself? If your answered yes to these, then you’d enjoy a career in development. 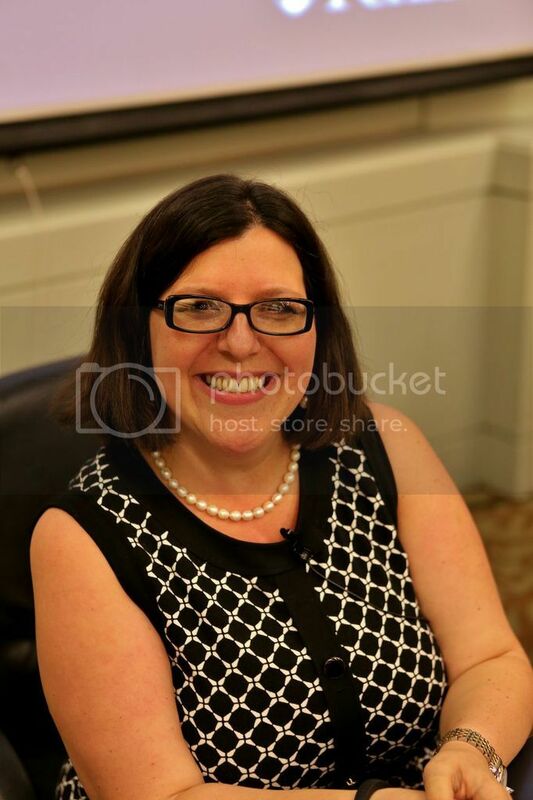 I find the profession to be a very rewarding one that allows me the opportunity to build relationships with individuals and entities whose interest matches up with my organization’s needs. As an HBCU alumnus and leading expert on HBCUs, please share an insight that more people need to know. If we (HBCUs) intend to increase alumni giving among current alumni, we must ask them to give. If we intend for future alumni to give, we much teach them now as students. Alumni giving starts with students. Mark your calendar and make plans to participate!